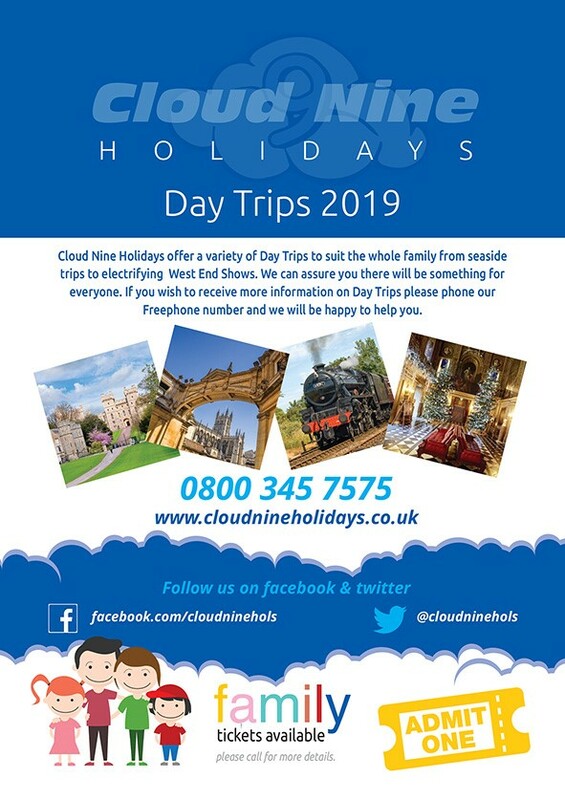 Hello and welcome to Cloud Nine Holidays online brochure. Our brochure offers new British and European tours as well as many established favourites we have also introduced a Day Trip programme. You can be assured of a friendly atmosphere on all Cloud Nine Holiday's. Our online brochure aims to offer a range of popular locations that are firm favourites with holidaymakers - many of whom return to these destinations year after year. Why should you travel with Cloud Nine Holidays? We can offer you a high level of service and with no changing coaches, you can be assured you will travel to your destination in the latest and most comfortable coaches. We take care of all your travel arrangements, from picking you up at your door by taxi and taking you to your coach at the Abbey Centre in Northampton, to handling your luggage. Your coach will travel directly to your destination (with refreshment stops). Similar arrangements are made on your return journey. Our team of tour escorts and coach drivers will always be ready to help make your holiday really enjoyable, and memorable. Our Free Door to Door service includes the following areas, ALL Northamptonshire, All Milton Keynes, Bedford, Buckingham, Market Harborough, South and East Rugby and Oundle. If you live outside of these areas please call us, as we can still provide transport for you at a small extra charge. You are invited to visit our offices in Oxwich Close, Brackmills where you will receive a warm welcome. If you experience any problems finding the Cloud Nine office please call our FREEPHONE number 0800 345 7575. We will be happy to help in any way possible and we can offer transport from and to the bus or railway station if required. We now offer Day Trips for Familys and Adults only with most picking up from Kettering, Rushden, Wellingborough, Weston Favell Shopping Centre (Northampton) & Victoria Street, Northampton. 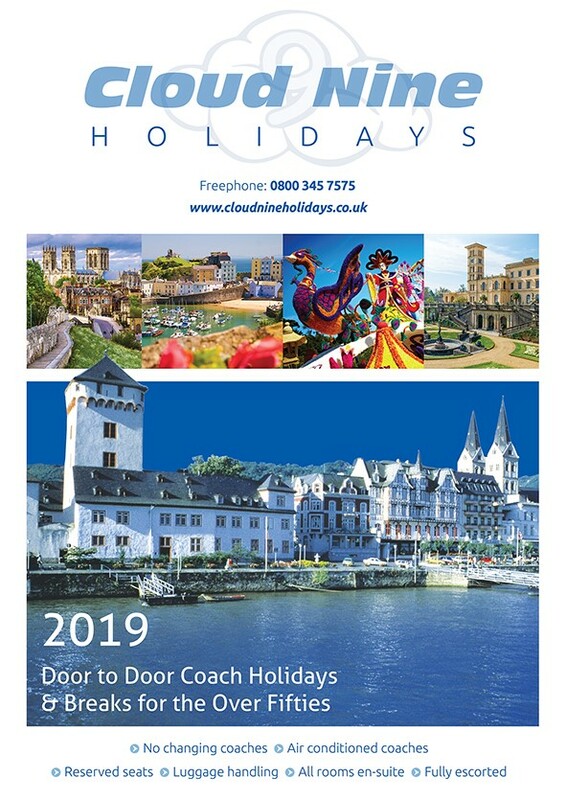 Our 2019 Day Trip brochure is online and copies are now available. We hope to see you soon. Thank you for your support. For your holiday protection and peace of mind, all holidays are bonded with the Bonded Coach Holidays Group and the Confederation of Passenger Transport to protect your holiday payments.